Mary Truxaw is an Associate Professor of Mathematics Education in the Department of Curriculum & Instruction in the Neag School of Education. Her primary research interests center on the intersection of mathematics education and language. Mary is currently working to apply discourse analysis techniques and models to linguistically diverse mathematics classrooms. 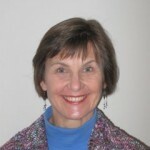 Mary has worked on a number of research and professional development projects to support mathematics teachers – for example, the Math Learning Discourse project, Math ACCESS project, Math Leadership Academy, Bridging Math Practices project, and Co-teaching and Math Discourse in Linguistically Diverse Classrooms project. Mary was named a Teaching Fellow at the university, the highest honor awarded for instructional excellence and leadership. Before earning her Ph.D., Mary was a public school teacher in Connecticut, New York, and California where she developed her love for and curiosity about teaching and learning of mathematics. Truxaw, M. P., & DeFranco, T. C. (2015). Mapping mathematics classroom discourse and its implications for models of teaching. Book chapter for E. Silver & P. Kenney (Eds. ), More Lessons Learned from Research: Volume 1: Useful and useable research related to core mathematical practices (117-124). Reston, VA: National Council of Teachers of Mathematics. Truxaw, M. P., & Rojas, E. (2014). A mathematics educator’s journey to understanding challenges and affordances of learning mathematics in a second language. Journal of Urban Mathematics Education 7(2), 21-30. Roberts, N. S., & Truxaw, M. P. (2013). Vocabulary: Beyond the definition for ELLs. Mathematics Teacher, 107(1), 28-34. Truxaw, M. P., & Rojas, E. D. (November 2013). Challenges of learning mathematics in a second language. In Martinez, M. & Castro Superfine, A (Eds. ), Proceedings of the 35th annual meeting of the North American Chapter of the International Group for the Psychology of Mathematics Education (pp. 1077-1080). Chicago, IL: University of Illinois at Chicago. Staples, M. E., & Truxaw, M. P. (2012). An initial framework for the language of higher order thinking mathematics practices. Mathematics Education Research Journal, 24(3), 257-281. Truxaw, M. P., & Olson, M. R. (2010). Preservice mathematics and science teachers’ inquiry into new literacy practices of the Internet. Journal of Technology and Teacher Education, 18(3), 489-508. Staples, M. E., & Truxaw, M. P. (2010). The Mathematics Learning Discourse Project: Fostering higher order thinking and academic language in urban mathematics classrooms. Journal of Urban Mathematics Education, 3(1), 27-56. Truxaw, M. P. and DeFranco, T. C. (2008). Mapping mathematics classroom discourse and its implications for models of teaching. Journal for Research in Mathematics Education, 39, 489-525. Truxaw, M. P. and DeFranco, T. C. (2007). Lessons from Mr. Larson: An inductive model for orchestrating discourse. Mathematics Teacher, 101(4), 268-272. Truxaw, M. P. and DeFranco, T. C. (2007). Mathematics in the making: Mapping verbal discourse in Pólya’s “Let us teach guessing” lesson. Journal of Mathematical Behavior, 26(2), 96-114. Truxaw, M. P. (2005). Orchestrating whole group discourse to mediate mathematical meaning. DigitalCommons@UConn. Truxaw, M. (2004). Mediating mathematical meaning through discourse: An investigation of discursive practices of middle grades mathematics teachers. (Doctoral dissertation, University of Connecticut, 2004). Dissertation Abstracts International, 65(08), 2888B.